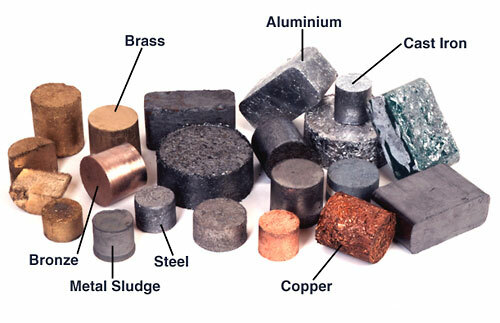 Processed Materials: Non-ferrous metal minerals such as copper, lead, zinc, molybdenum, cobalt, tungsten, antimony etc. 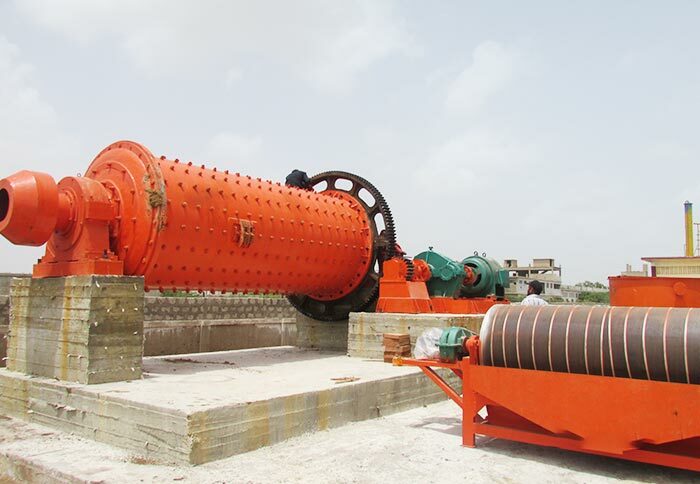 Flotation machine is the equipment to complete the flotation process, which is also called flotation cell. 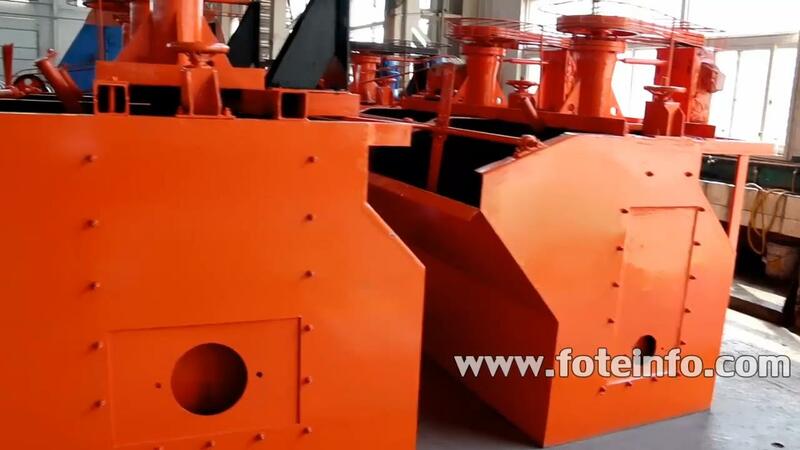 It is widely used for the rough, fine and reverse flotation operations of copper, lead, zinc, nickel, molybdenum and other non-ferrous metal, ferrous metal and nonmetal minerals. The types of flotation machine mainly include mechanical agitation flotation machine and froth agitation flotation machine. 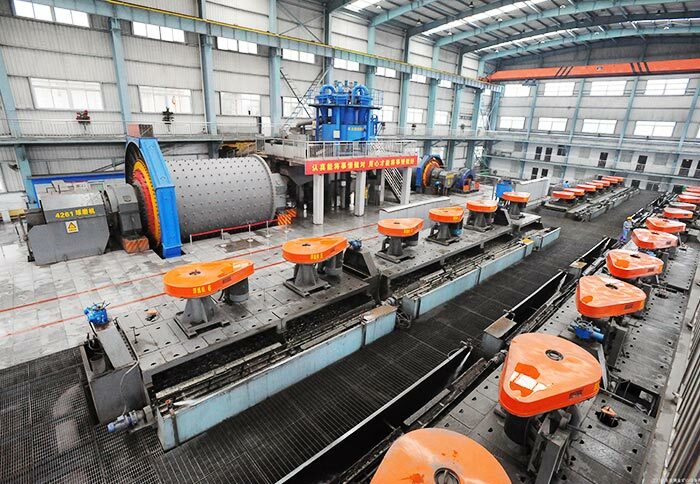 Flotation machine can be used for separating copper, lead-zinc ore, molybdenum ore, graphite ore, fluorite ore, phosphate, selected gold, silver, iron, rare earth ore, talc and so on. 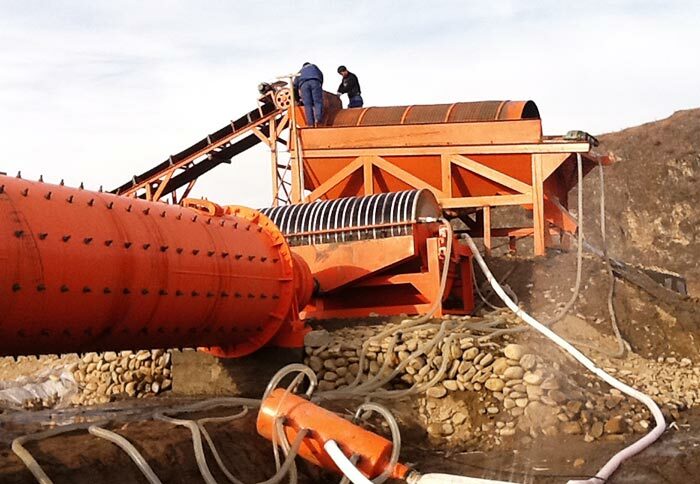 It is widely used in the separation and recovery for fine minerals of ferrous metal, precious metal, nonferrous metal, non-metallic minerals, rare metal, non-metal, etc. 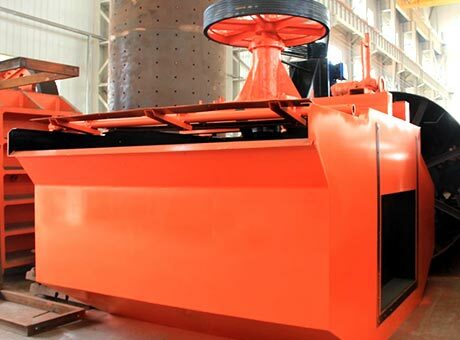 Flotation cell has high separation efficiency, which greatly expands the scope of mineral resources and increase the recycling rates; it has relatively stable and large inspiratory capacity, which has good circulation performance, low power consumption and low pharmaceutical consumption; simple structure, convenient adjustment; it is equipped with advanced control system, which can realize automation control; the groove has the suction of air and slurry as well as the flotation loop, without using foam pump, the horizontal configuration is easy for process changes. 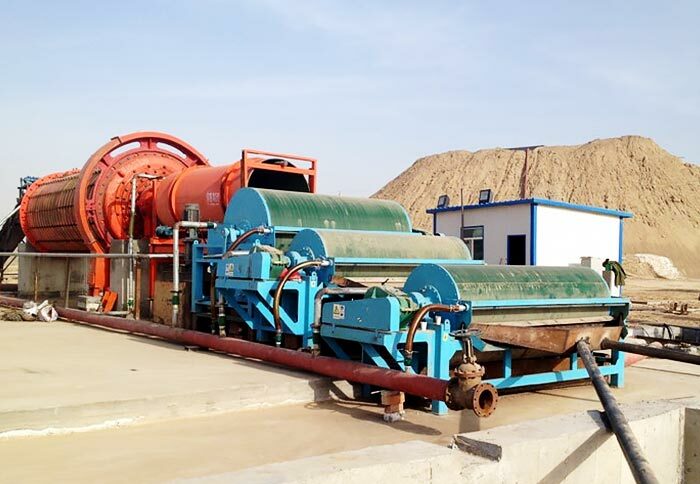 Flotation machine is widely used as the copper separation equipment, gold separation equipment, limonite ore dressing equipment, lead-zinc ore washing equipment, etc. 1. Self suction of the air. 2. Improve the quality of 4-6%. 3. Improve the recovery rate of 8%. 4. Improve the output of 12%. 5. Good pulp circulating characteristics. 6. 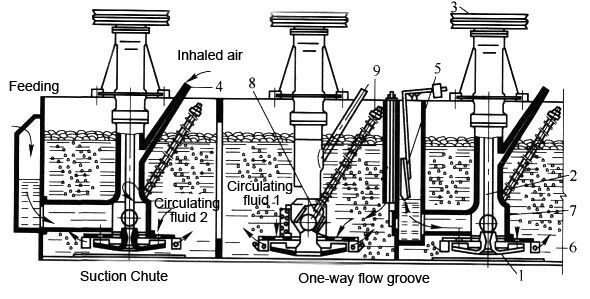 The suction air volume is relatively stable. 7. Medium mixing strength, good suspension of solid particles. 8. The flotation machine surface is smooth, low power consumption. 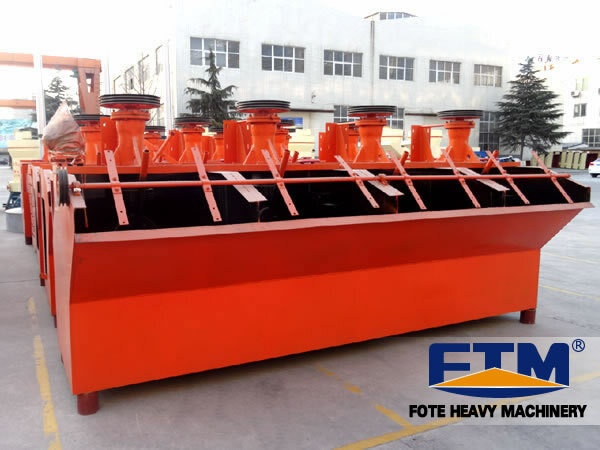 Fote Machinery has various types of flotation machine for sale, in addition to froth flotation machine, we also have copper ore flotation machine. The flotation machine produced by our company has advanced structure, reliable performance and favorable price. If you want to know more details about flotation machine, please contact us!